Now you can enjoy Panhandle Popcorn all year round with refills for your 6½ gallon Tins. These refills are packed in poly bags to insure freshness. Your choice of All Buttery Flavored, All Cheese, All Caramel, or a 3/way combination of Buttery Flavored, Cheddar Cheese and Caramel Popcorn. 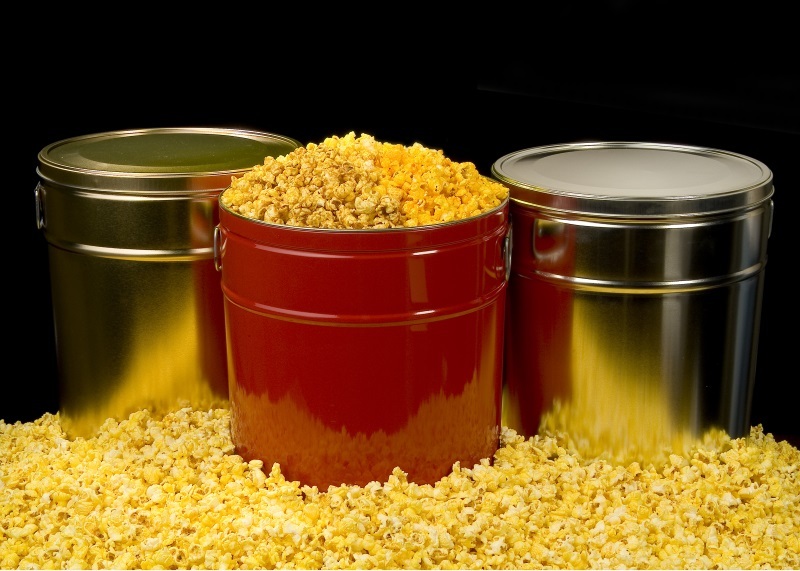 We also offer a refill for our popular Vanilla Popcorn (1 gallon bags only) - Tins Not Included.